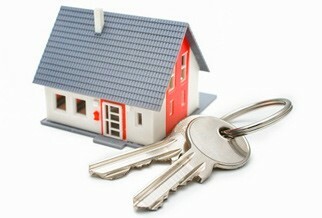 We buy homes, renovate, sell, and rent affordable quality homes and properties in North Texas. Looking to buy a home or property? We help investors and value-minded homeowners find the right property at the right price. For homeowners, we offer homes that are ready to move in, or handyman specials requiring simple cosmetic repairs and updates. For investors, we offer “ready to rent” and “fix and flip” properties. We can find properties from multiple listing services (MLS), our own inventory, and the inventories of other HomeVestor offices nationwide. We have the unique ability to find properties using every proven tool available. As part of HomeVestors, we benefit from a nationwide, multi-million dollar advertising and marketing program. If you want to sell your house, we can help. We can list and market your house, negotiate the sale, and keep the complicated home-selling process on track. We are the investment properties office for Taylor Realty Associates of North Texas. We offer the full range of real estate brokerage services. Does your house need work, or is difficult to sell? We’ll buy your house, no matter its condition. We can help you with difficult family, financial, and personal issues related to owned and inherited properties. JBA is a HomeVestors of America office. Located in Arlington and Fort Worth, Texas – we help people all over the north Texas area. HomeVestors has been America’s #1 home buyer since 1989, purchasing over 60,000 homes nationwide. We are pleased to be a part of this outstanding organization. Learn more about HomeVestors here. Will that home upgrade really pay off?